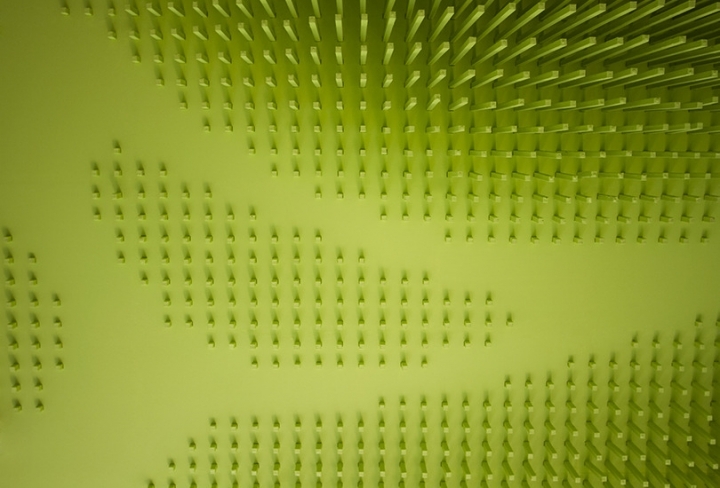 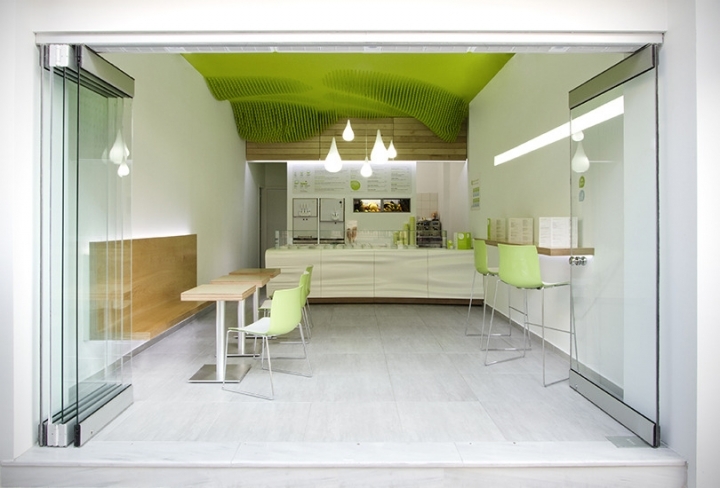 Froyo yogurteria in Volos, is an application of the architectural branding held for ‘Froyo Yogurteria’. 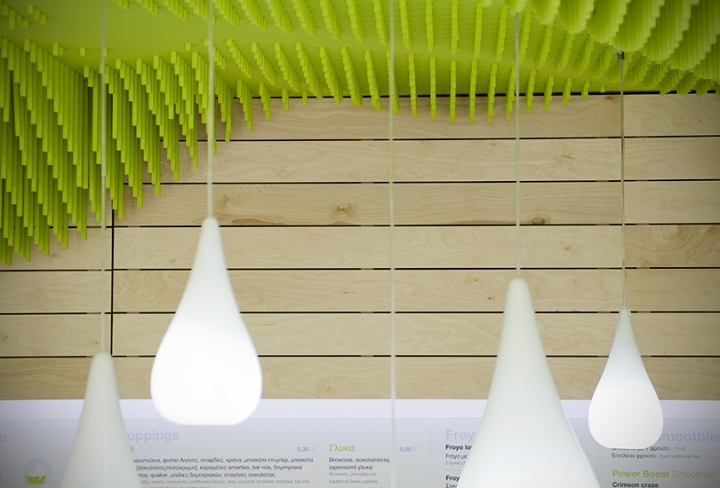 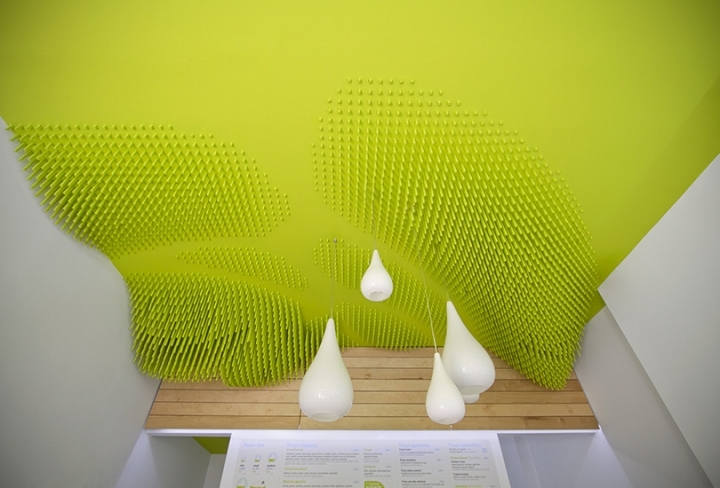 The main design goal was to emphasize on a clean architectural proposal and highlight the product (frozen yogurt). 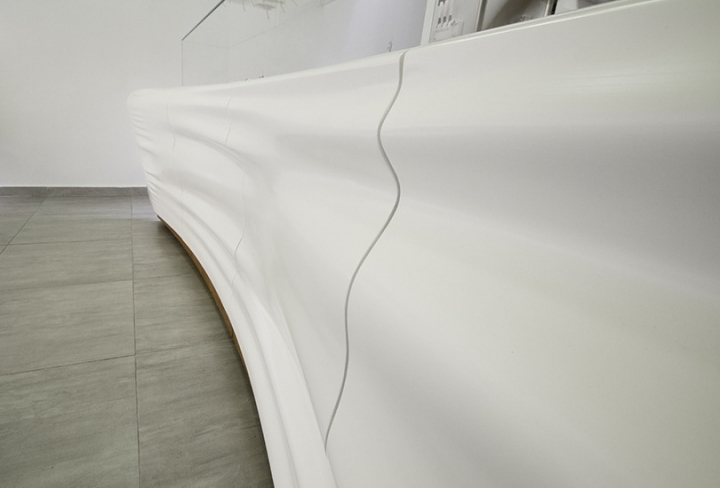 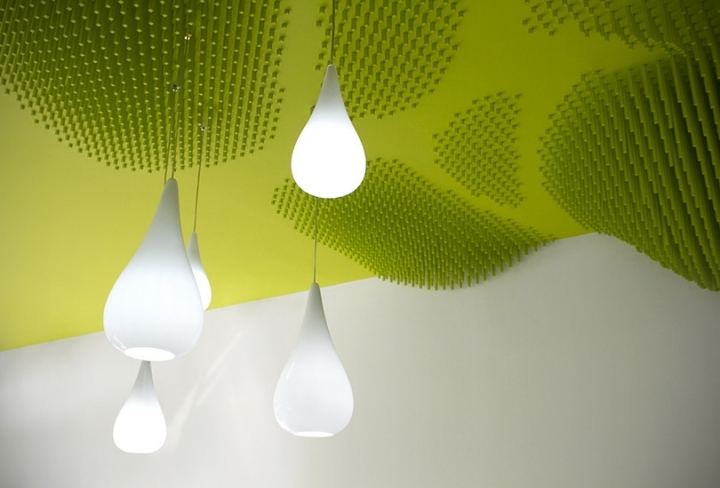 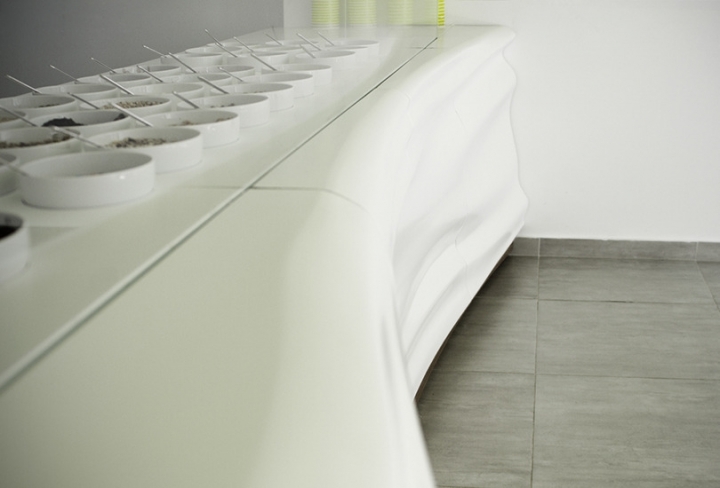 Abstract, double curvature surfaces, form the ceiling and the counter for the yogurt toppings. 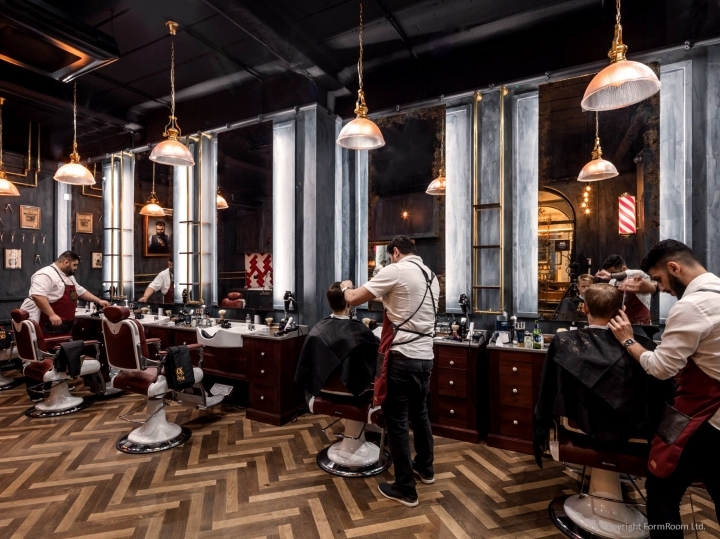 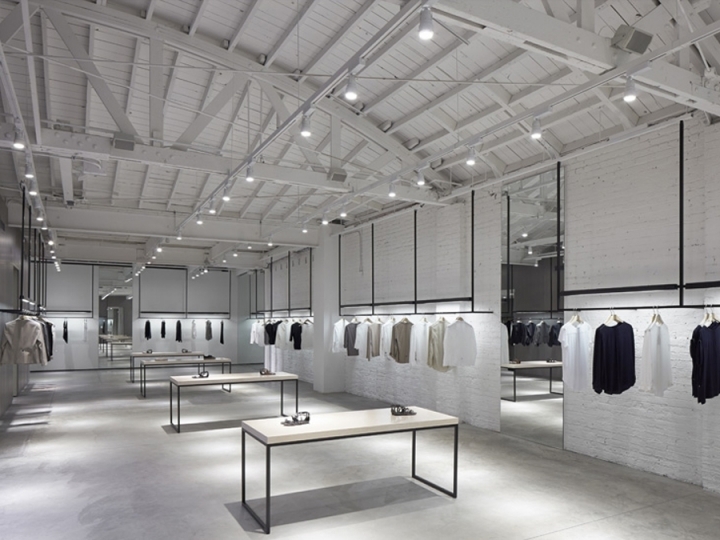 The fresh icon of the store emerges from the identification of the fresh products along with the compilation of the materials and colors.